Mix two tsp of sugar with two tsp water, mix them and make thin paste. Add more amount of sugar and then stir it, now take the paste on your fingers and gently apply it on your cheek. Rub it in circular motion on cheek for 60 seconds now do the same with your other cheek and forehead. It is your exfoliator. Now take a lemon, as we all know lemon is natural toner. 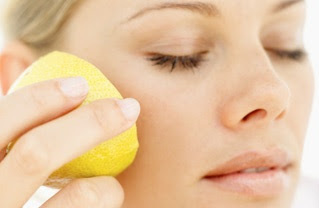 After you wash your face take nearly about 10 drops of lemon juice and rub in your face. Let it on your face for 10 seconds, keep in mind that if it burn then keep it only for 2-3 seconds. Now just wash your face with cold water in order to close your pores. 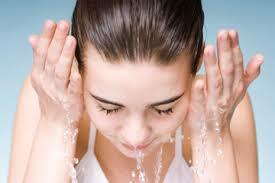 hot and cold water is the key of pores, hot water open your pores while cold water close them. you guys get acne because of the dirt in your pores and as in this method you will clean out the dirt from your pores and will get clear skin soon. 3. Do not forget to wash your hands before exfoliating. 4. You can also use ice to close your pores, it will tighten them. What type of the skin do you have?